We know that the best protection for your boat begins with a tight tolerance between the hull and trailer. A superb fit begins with precision engineering and rigid construction standards. This translates to quality, durability and years of enjoying your trailer. From there, we build-in features that make it easier and more convenient to transport your boat. We finish each painted trailer with color-matched automotive-grade paint to ensure that your boat looks as good trailered as it does on the water. Our bunks, along with the strength of our one-piece frame construction and heavy-duty suspension, work together to give you a smooth ride and better handling during transport. And the simple, self-centering design makes loading and launching easy and convenient. 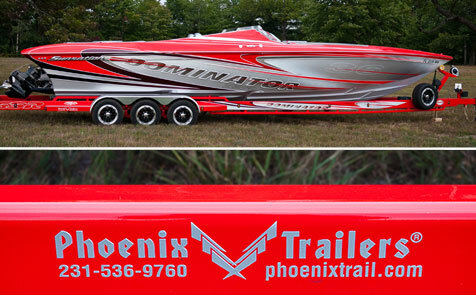 Each Phoenix trailer is designed, built and detailed to offer you the ultimate in fit, function and finish. 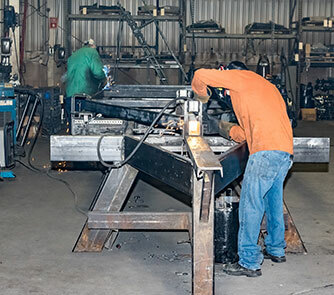 All of our trailers are designed at our headquarters in East Jordan, Michigan. 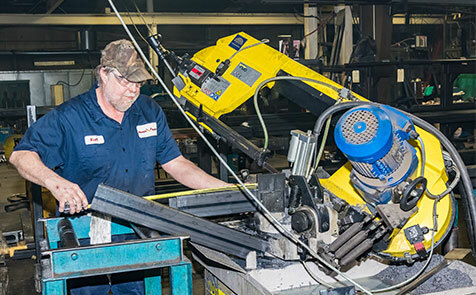 Some final assembly and distribution takes place at our facility in Winchester, TN. Our trailers are designed and built for maximum highway safety. They load and unload easily in the water and still look as good as they did in the showroom years later. Our engineers use advanced computer-aided design (CAD) to precisely locate bunks for consistent hull support and ensure that each trailer is functional, attractive and tough. Designed for both quality and efficiency, our assembly process requires less time spent handling materials and produces less waste. The result: more trailers with less staff, and an overall reduction in costs. These savings are passed on to you, our customer, through more competitive pricing. The National Association of Trailer Manufacturers (NATM) is comprised of trailer and trailer component manufacturers who are committed to industry promotion and use of the latest technical and safety standards. They are actively engaged in promoting safe trailering via consumer literature, owners manuals, related labels and third-party trailer certification. NATM addresses technical standards and state and national regulatory issues for boat trailers through NMMA’s Trailer Certification Committee and through active involvement with other agencies and organizations involved in trailer safety. Boat Ed is the only place on the Web where you can study the official boating safety manual developed specifically for your state government’s boating agency. After studying the course material and taking an online boater exam, students who pass will receive their official boater education certification. You can be certain that the boating certification card you receive for passing the online boating test will be recognized by the officers on the waterway.